We all want to make informed purchasing decisions and we all want to avoid paying hidden charges, especially when our investment is supposed to be making us savings. 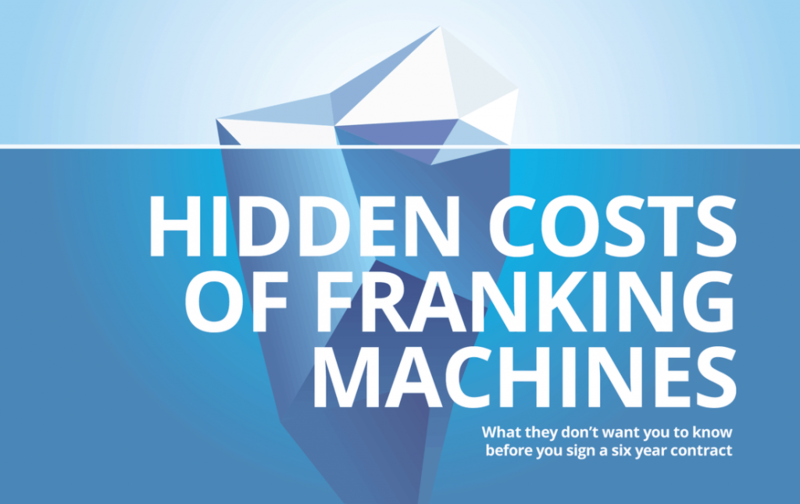 Here we take a look at the hidden costs companies selling franking machines may charge. Some companies charge you for topping up your account. We kid you not. It seems bizarre that you’d pay to give a company money but look out on your next invoice and see if the meter reset fee affects you. This is exactly what it says. It’s a fee that you get charged if your account lies dormant. I know, we couldn’t believe it either. Want to pay for your post on an account? Sounds reasonable but this privilege is also going to set you back with some franking providers. This one is usually cleverly bundled in with other stuff but will set you back over £300 over the course of your contract. You know how electronic funds are automatically debited from your account? Yep, your franking machine company is probably charging you for that privilege. Despite the fact that the whole point of automated money transfers is that they aren’t manual and, therefore, shouldn’t cost anything. Some franking machine companies operate like a bank and will charge you if there isn’t money in your account to make a payment. That means you’ll be getting penalised twice if you miss a payment. See below. Do you really know what you’ll be posting in 2023? This one is sort of like the last one in that if you go over your credit limit you’ll get charged (also sounds like the banks again?). Royal Mail introduces a small price increase each year. To take big advantage of that, your franking machine company may choose to charge you for updating the pricing on your franking machine. That’s right, you’re stuck with the increase and paying them to charge you the right money. Now and again if you have a bulk mailing you might expect to pay less on the postage and rightly so, but watch out. You may get a reduced rate but you’ll probably be charged for the pickup. Ok, so this isn’t really a ‘fee’ but it is a cost that should be considered. Consumables are the ink cartridges used to produce the franking mark on the front of the envelopes. Authentic cartridges retail for £100 at a time (be wary of buying them from cheaper dealers too). It’s fair to say that the franking machine mark adds another penny on to the cost of posting. 65% of franking machines in the UK are supplied on a lease contract. With that, there also comes the hidden cost of finance and before you know it, you’re paying threefold the purchase price for a franking machine. On top of that, at the end of the lease, you won’t even own it. If, by now, you’ve been brave enough to take a peek at your last franking machine invoice you’ve probably seen this one already. 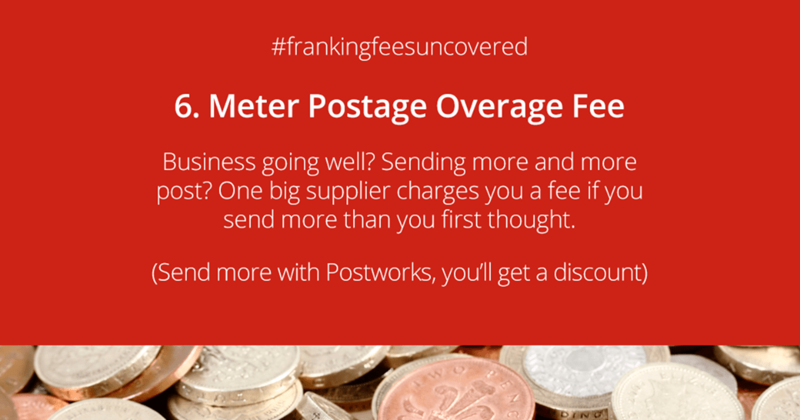 You’ve probably also noticed it’s costing more than your franking machine rental altogether. It’s the cost that you pay to the company to “service” your machine. Despite the name, it’s now common practice for franking machine companies not to provide preventative maintenance, this contract only covers you if something goes wrong. So, if that chunk of machinery doesn’t break, you’ve paid for nothing at all. It’s difficult to believe there are so many charges outside of the lease and postage. It’s becoming more common that businesses acknowledge they’re an expensive way to save money. In actual fact, when totalling the whole cost of sending a 2nd class letter through a franking machine it can be close to 60p. We’ll be posting very soon on how to calculate if a franking machine is cost effective, so watch this space. In the meantime, click here to visit our savings calculator and work out if ‘online franking’ can save you money instead. There are no minimum volumes, no contracts and no hidden costs.